How on earth do you do go about recycling your old mattress? What are the options if you wanted to get it recycled? Please note: Some Local Council bulky waste collection services may have a fee. If you live in London Matt UK will recycle your old mattress. You will need to fill out their form and they will tell you how much it would cost to recycle your mattress. Matt UK ensures that no mattress waste goes to landfill. These guys will collect your mattress anywhere in the UK for a fee. 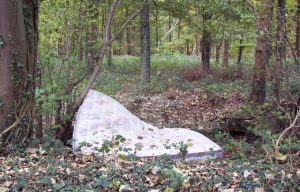 Depending where you are in the country will depend how much it would cost for recycling your old mattress. But if you are going to pay for Bulky Waste Collection from your council, then this might be a more environmentally friendly option. You can always contact the company who is supplying your new mattress. Sometimes they dispose of them for free, others will have a small charge. But make sure that they are going to recycle your mattress and not put it on the landfill heap. Dreams have a mattress recycling service as does Mattress Online. I doubt these are the only companies so please check with your mattress supplier. It would be great to hear your mattress recycling success stories.